EL PASO, TEXAS — The boss of a truck driver caught with 268,000 rounds of ammunition in Ciudad Juarez, Mexico, said Thursday that his employee took a wrong turn on his way to deliver what he insists was legal cargo bound for an Arizona dealer. Dennis Mekenye, operations manager at Demco freight company in the Dallas suburb of Arlington, said Jabin Bogan, 27, made “a very honest mistake” when he took a wrong turn that eventually led him to Mexico on Tuesday. Mekenye said h has been in touch with U.S. law enforcement agencies and the U.S. consulate in Ciudad Juarez. “We want this solved, that is why we have been so forthcoming with authorities,” he said. ATF spokesman Tom Crowley said that agents in Juarez “are looking into the specifics of what happened” but declined further comment. The truck’s tracking unit showed that it had entered into Mexico, and that is when Mekenye said he decided to call Bogan. 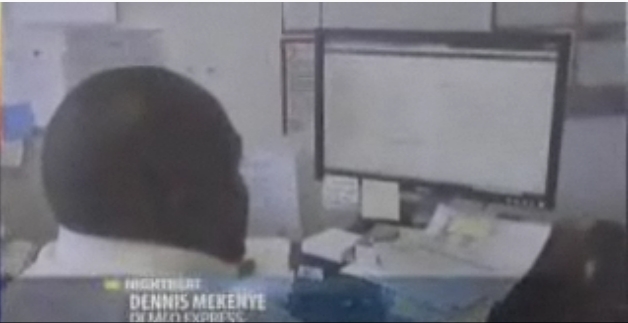 “We do not go into Mexico; our company is not licensed to go into Mexico,” Mekenye said. The driver told him over the phone that Mexican authorities had detained him and were going to inspect the cargo. Mekenye said that Bogan informed him that after making two of his three stops in El Paso, Texas, he proceeded to drive to the third stop at company called Carefusion before heading to Phoenix, where the ammunition was to be delivered. But he took a wrong turn and found himself at the Bridge of The Americas, unable to make a U-Turn. “He said a cop told him to go straight and then he could make a U-turn,” Mekenye told The Associated Press. He could not confirm whether the law enforcement officer Bogan talked to was from the U.S. or Mexico. Delilah Dominguez at Carefusion said the company would not comment on whether there was cargo expected to be delivered by Demco Tuesday. Howard Glaser, owner of United Nations Ammunition in Phoenix said the cargo was 18,000 units of 5.56 caliber bullets like those used for ar-15 assault rifles and 250,000 .308 caliber bullets. “They are saying these (the .308 rounds) are for AK-47 rifles but the brass casing is 12 millimeters longer, it will not fit in the chamber,” Glaser said. “They are making a big political issue out of this,” he said. Glaser said he bought these surplus rounds from Wideners, an ammunition distribution company in Tennessee and they were intended to be sold mostly online at his online store. There was no immediate comment from Wideners regarding this cargo. Two calibers of ammunition were found, which can be fired by AR-15 and AK-47 assault rifles, Mexican prosecutors said. Prosecutors said it was the largest seizure of ammunition in Ciudad Juarez in recent memory. This entry was posted on April 20, 2012 at 10:22 AM	and is filed under Diaspora News. You can follow any responses to this entry through the RSS 2.0 feed. Both comments and pings are currently closed. Hii mabo yakutaka kutajirika haraka ni bovu. Rafiki yagu traki dereva ameniabia arikatia mabo ya kutumwa uko bonda. Arisema eti si ammunition peke yake huperekwa bonda; hata mandawa ya kulevia ili utajili wa halaka uigie. Si hii ni bladi bure tu? Safi, sasa ni saa tano na nusu asubuhi na tayri umewaka…umeleweka na pombe au madwa za kulevya mpaka umeanza kuropoka kama punda milia. Wachana na wivu na uchawi mwananchi. Sam, edelea na ulevi wako na uchokola wako wa utajili wa halaka. Utaagamia ki bladi bure tu. Nasema: Soga nyuma yagu shetani. Ederea na marigo yako ya madawa ya kurevia arafu tuone utafika wapi. Baada ya marigo yako na utajili wako wa alaka ni – kujuta na kuagamia gelezani. Safi, you need to check into a rehab for detoxification or some other psychiatric evaluation before you post your obnoxious comments. I don’t understand why this administrator lets your sleazy views slide-by, try to show some civility and responsibility for your comments, period! Safi, if you can’t write proper Swahili, please write in English or more so just don’t write! You don’t have to post anything here! EL PASO TEXAS KINDA TRICKY. YOU CAN ENTER INTO MEXICO WITHOUT KNOWING, GOT TO BE CAREFULL OUT THERE NOW. oh a Kik taking the wrong turn? Something isnt adding up on this story, I live in El Paso, if you make a wrong turn, they have places to turn around at the border. You live in EP….big deal….what does this got to do with this scenario? You got no facts nor substance…just speculations! You’re probably right, Keenan, all facts need to be taken into consideration before making ridiculous assumptions. In my experience as a truck driver i have been in similar situations, you just can’t make a u-turn with a 53 ft truck, you need to consider the height of the truck/trailer, the low hanging bridges etc. In some instances i’ve been forced to go to the next city in order to make a safe u-turn. In EP you have places for u-turns but that might not be good enough for a huge truck with a heavy load.